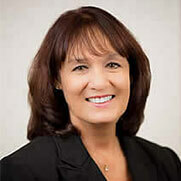 Born and raised in Hawaii, Dr. Lisa Foster earned her undergraduate degree and a Master’s degree in education from the University of Hawaii, Manoa. She also holds a Master’s degree in Arts in Private School Administration from the University of San Francisco. Dr. Foster earned her doctorate degree in Education Leadership from Brigham Young University, Provo, Utah. 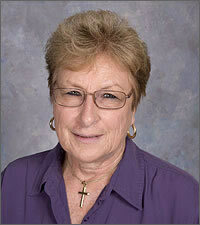 She also enjoys teaching as an adjunct instructor at Chaminade University of Honolulu Department of Education. She has been active in humanitarian service and is a member of the Rotary Club of East Honolulu and served as a Rotary District Governor in Hawaii. She was recognized by her Rotary club as Employer of the Year and received the Four Avenue of Service Award. She has also served as Rotary volunteer to immunize young children against polio in Ethiopia, and participated in a humanitarian service project in Cambodia, where she “adopted” two orphaned children (a brother and a sister) and supported their education. Today, her “son” is a successful travel agent, and her “daughter” is employed at a financial institution. Lisa was also selected as a Fulbright Scholar to the United Kingdom, as an administrator exchange participant through the U.S. Department of State’s Bureau of Educational and Cultural Affairs. Lisa is a Castle Colleague graduate of the Henry and Dorothy Castle Fund of the Samuel N. and Mary Castle Foundation, and a member of numerous professional educational organizations locally and nationally including the National Association for the Education of Young Children, American Montessori Society, Association for Supervision and Curriculum Development, and Phi Delta Kappa International. Her hobbies and interests include literature, drama, swimming, jogging, gardening and humanitarian service. Her hope and dream is to see a world at peace. She considers Mary, Star of the Sea ELC to be her “second home,” and especially enjoys the children and families she is entrusted to serve. The teachers at the ELC have baccalaureate degrees or higher in education, and are Montessori certified. Teachers with degrees outside education are required to have a minimum of 36 units of ECE credits and a minimum of two years of ECE experience. Every year, our teachers are offered opportunities to take courses in early childhood education to further their professional development. All full-time teacher assistants are required to have a minimum of 12 credits in early childhood education, or equivalent, and/or a CDA certification. All teachers and staff are certified by the DHS and are registered with the Childcare Registry. Many also are members of professional educational organizations such as NAEYC and AMS. Many of our teachers and staff have been part of the Mary, Star of the Sea for many years an and are also parishioners. Dr. Tamura has degrees in child and adult psychology. Her role at th ELC is to observe children’s learning, behavior and development processes and address teacher and parental concerns. Ms. Malia comes to Mary, Star of the Sea for music sessions for all classes throughout the school year. For more information on her award-winning work please see her website at www.hawaiikids.net. Scooter has been in the kitchens at Star of the Sea ELC since September 2005. 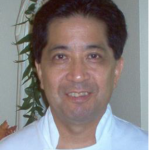 A former sous chef of Waialae Country Club, his meals are delicious and nutritious!